So we are heading closer and closer to Christmas. It is just days away and you realise that actually, there are a few people you’ve not given a card to yet. The neighbours, the postman (despite him handing you a card on December 1st), the Bin Men (along with a 6 pack so that they don’t leave bin entrails down your street 2 days after Christmas), and other such folk. Anyway, but back to my point. It’s 4 days before Christmas, you need to bash out cards super quick, but full of style and impact. Bring on the Silver Foil I say! 6×3″ piece of the Silver Foil cardstock (that’s 15 x 7.5cm), fold it in half. Add over a layer of Whisper White cardstock measuring 2.75 x 2.75″ (7x7cm). 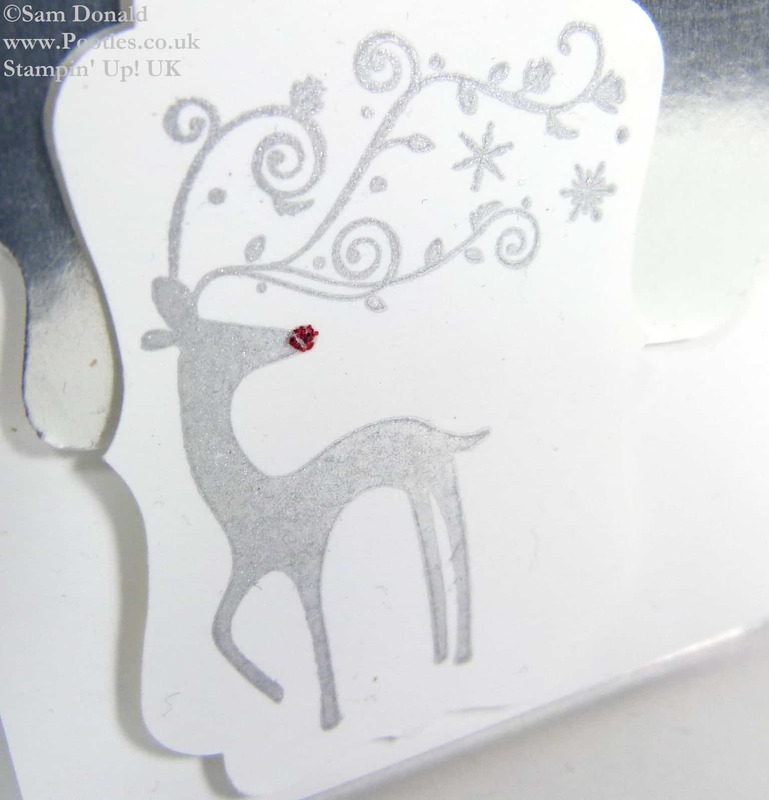 Stamp out the gorgeous deer from the Best of Christmas set in silver Encore ink and add a diddy dab of Cherry Cobbler dazzling details to his nose! 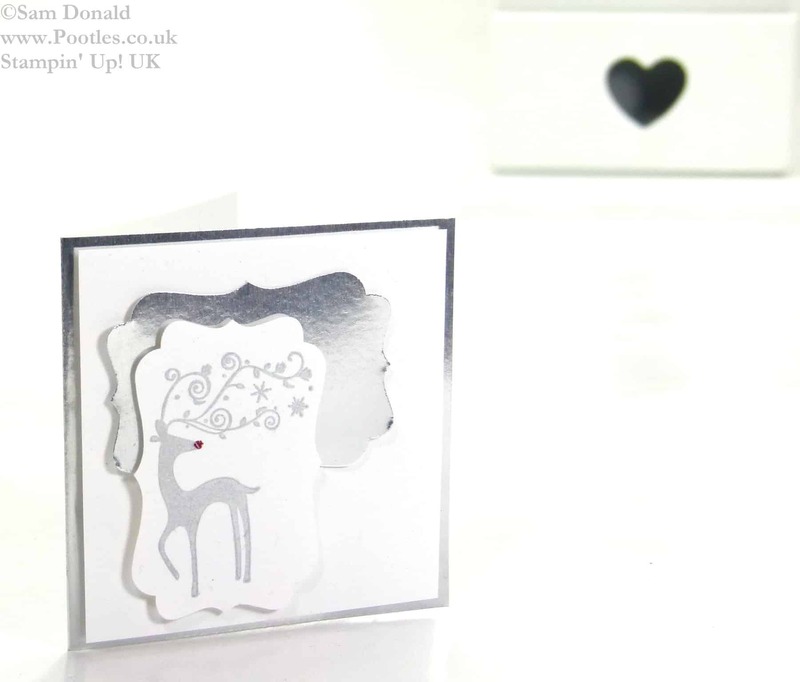 Punch him out using the Decorative Label Punch and punch another shape from more Silver Foil cardstock. Layer them up, adding dimensionals for lift, and instant card! Now, don’t forget those fabulous utility people who keep our daily lives running smoothly!